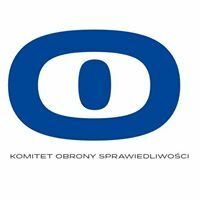 MEDEL’s declaration on the situation in Poland – Stowarzyszenie Prokuratorów "Lex super omnia"
Both aforementioned provisions directly violate the Constitution of the Republic of Poland and definitely weaken the independence of courts and judges. MEDEL is also greatly disappointed to learn, that Sejm has just adopted the law on the Supreme Court and Judicial Council, that raises the very same concerns as drafts from July 2017. The law – almost identical in the effect to the one previously vetoed by the President of Poland – increases the powers of the executive (this time the President) over the judiciary and deliberately violates the principle of separation of powers. The new law on National Judicial Council, violates the Constitution and ignores the recommendations of the Venice Commission, by dismissing current NJC (violating constitutional terms of office) and calling new one with the members elected in 100% by the parliament (violating the constitutional rule of majority of judges elected by judges in NJC). This way NJC will be another political body controlled by the parliament. The new law on Supreme Court introduces a Supreme Disciplinary Chamber with special better remunerated judges (150% of basic salary) appointed by the new National Judiciary Council, with the sole objective of disciplining judges, attorneys of law, legal counsellors and other law professions. The cases in the Supreme Disciplinary Chamber will be ruled with the participation of lay judges elected by the parliament. Those changes completely eliminate constitutional guarantees of judicial independence. Nominating, controlling, dismissing and disciplining of the judges (and also disciplining other lawyers) are to be executed by those nominated by the ruling party. The introduction of an “extraordinary appeal” with the potential to overrule any final judgement of any court made within the last 20 years and any future final verdict within 5 years from the date of the verdict also greatly endangers the rule of law in Poland. Controlling NGO funding by National Freedom Institute, established by the government. Observing this further deterioration of the rule of law in Poland, MEDEL calls upon the Senate and the Polish President to re-assess the recent legislation proposals and to observe the European values shared by the family of European States. MEDEL also reiterates its request to the competent EU institutions to take all possible steps to protect the rule of law in Poland as a member state of the European Union.